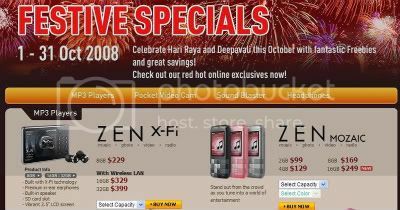 -Get the Sound Blaster X-Fi Go! @ $49 (U.P $79) with every purchase of Aurvana Live!, DJ or In-ear. Any promo code you have for Creative Singapore website? Does this offer apply to Creative stores in Spore?